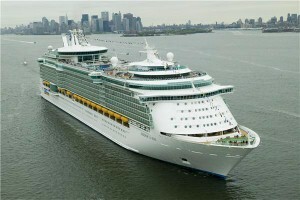 Cruise holiday lovers may begin to think twice about going on this type of holiday soon as cruise lines up their costs. The Daily Telegraph reports that a rise in oil prices has led to cruise lines raising their prices and that holidaymakers will now have to stump up more cash than previously if they want to go on a cruise. However, it is important that travellers don't try and cut back on other necessities such as travel insurance as a way of finding the extra cash, as the constant moving around of cruises ups the risk of a valuable item becoming lost. The number of people going on cruise holidays increased 11 per cent last year from 2006 figures with some 1.33 million Brits preferring to enjoy the opportunity to visit numerous places via a cruise. That figure is expected to rise again to 1.5 million this year and two million by 2012, but the hike in prices may throw a spanner in the works of those figures. Holidaymakers in general should be warned that not taking out travel insurance could potentially add £25,000 to the cost of a holiday, according to the website gotravelinsurance, as this is the potential cost of the surgery to repair a broken leg in certain places abroad.